The famous online Turkish hacktivists from RedHack have hacked and defaced the official website of Justice and Development Party (AKP) which is Turkish ruling party at the moment, led by current Turkish Prime Minister Recep Tayyip Erdoğan. The hack is conducted against the recent arrest of 14 Turkish youth Taylan Kulaçoğlu, accused of being members of RedHack hacktivist group. RedHack claims that the youth has no links with the group and arrest is based on false allegation. Hacked by RedHack! Innocent people get arrested, they have nothing to do with RedHack! We will not longer accept this. We are with Taylan! People are always suffering under this system! RedHack vows to target Turkish government until the release of all 14 youth. At the time of publishing this article, the AKP website was down and showing under construction message. Newly emerging hackers from Indonesia going with the handle of Gantengers Crew are being the hacking of 31 Australian government owned domains against Canberra’s spying activities over Jakarta. SultanHaikal of Gantengers Crew told me that Indonesians are in anger over spying row and that is why 28 sub-domains of New South Wales’s government (nsw.gov.au) have been targeted. However, the sites are not completely but partially defaced with images and messages left by the hackers. 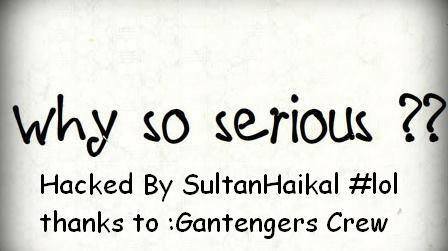 Hacked by Gantengers Crew | SultanHaikal Indonesian was here! F**K you government! why so serious? Greetz to all Indonesian hackers. Targeted domains belong to different city councils and ports of New South Wales’s government. Links of targeted domains along with their zone-h mirrors are available here. Gantengers Crew was also behind the hacking and defaced of Australian National University against the spying issue revealed by NSA‘s ex-tech Edward Snowden. At the time of publishing this article, all targeted sites were displaying images and messages left by the crew. This entry was posted in Uncategorized and tagged CIA, COUNTER TERRORISM, Cyber Security, Cyber Threat, NSA. Bookmark the permalink. 1 Response to THE HACKING TSUNAMI HITS TURKISH AND AUSTRALIAN WEBSITES: MORE HACKING TO COME?